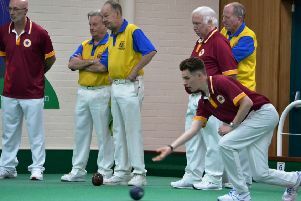 There was disappointment for Northampton bowler Jamie Walker as he and his England team missed out on a fourth straight British Isles Senior Men International Series title, losing out on shots difference to Ireland. 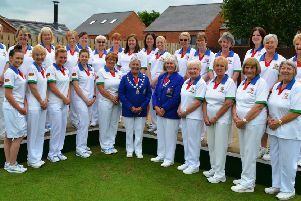 Team boss Jan Hunt has selected her team to represent Northants Ladies in the final match in this season’s group stage of the inter county Johns Trophy competition. 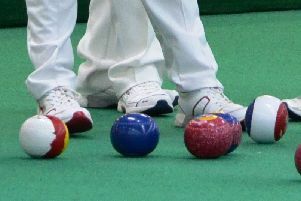 A weakened Northants Men’s team were edged out 126-120 in their Middleton Cup match against Norfolk at County Arts BC in Norwich. 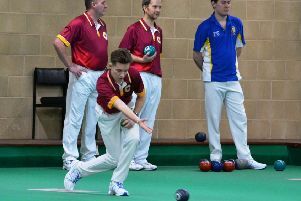 Northants Men hammered Lincolnshire 153-83 in their Midland Counties Championship clash at Kettering Lodge BC. 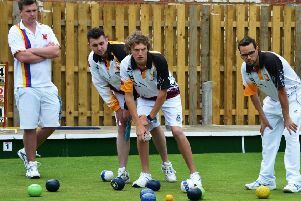 Northants Men got their season off to a flying start with a thumping 148-86 win over Derbyshire in the Midland Counties Championship. 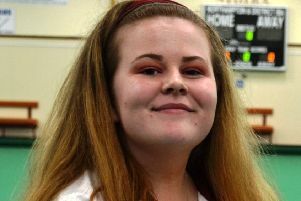 Shannon Swift is celebrating after she was selected for the England team for the forthcoming Mixed Under 18 International Series. 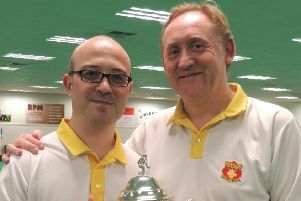 Kingsthorpe’s Conor Bryan and Connor Cinato saw off club-mates Paul O’Beirne and Jason Bryan 24-10 to win the County Pairs title at Northampton & District. 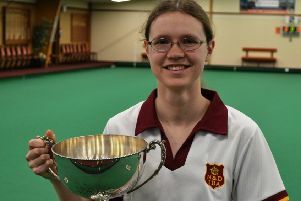 Louise Haladij made home advantage count as she beat Wellingborough’s Tina Broderick to the win the Ladies County Singles title. 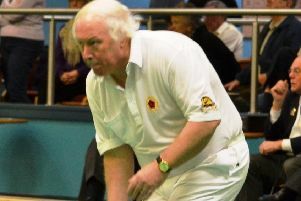 Nick Beirne has decided, after many years of dedication and service to St Crispin BC, to retire from active involvement in the administration of the club. 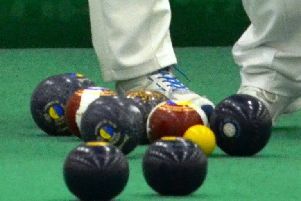 Northants Men hosted Oxfordshire in a friendly at Northampton & District IBA and claimed a big 126-78 win. 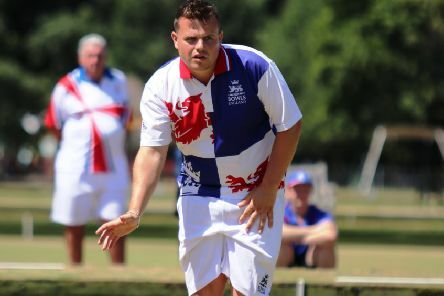 Kingsthorpe IBC’s Connor Cinato and Wellingborough’s Danny Walker were in the England team that competed in the British Isles Junior Men’s International Series at the Jim Baker Stadium in County Antrim in Northern Ireland. 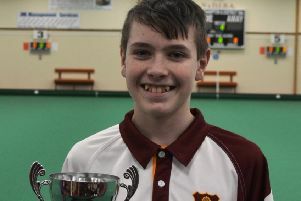 Northampton & District’s Thomas Manderson claimed the Northants Bowls Youth Development Scheme Junior Section title at his home club. 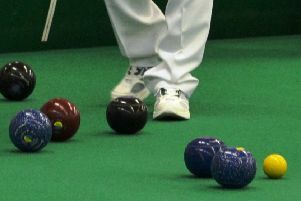 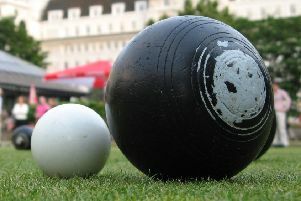 Kingsthorpe bowler Connor Cinato suffered defeat in the semi-final of the Under-25 Singles at the World Indoor Bowls Championships at Potters in Hopton-on-Sea in Norfolk. 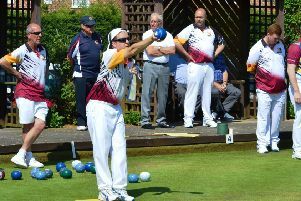 Northants Men enjoyed a 134-105 win over Leicestershire in their Midland Counties Warwickshire Trophy clash at Barwell IBC. 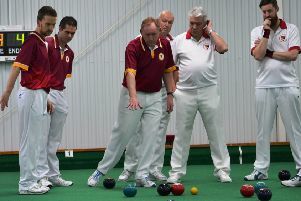 Northants claimed a thrilling 113-108 win over Warwickshire in the Liberty Trophy. 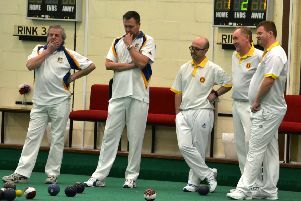 Four Kingsthorpe bowlers are celebrating after they were selected by England for the forthcoming Senior British Isles Series. 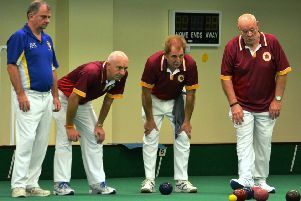 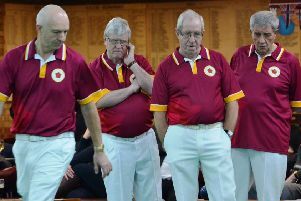 Northants Over-60s were 119-98 winners over Warwickshire in the national inter-county competition.